I found time this afternoon to have a nosey in and around Paddington Station in London. I have passed through Paddington a number of times in recent weeks on my way to and from Heathrow but have not found the opportunity during daylight hours to have a closer look. A big milestone has just been passed in that the new taxi ramp has opened to the north of the station so it was a good time to visit. The works at Paddington Station are related directly or indirectly with the Crossrail project. A new Paddington Crossrail Station is being constructed to interchange with the existing rail and underground networks. 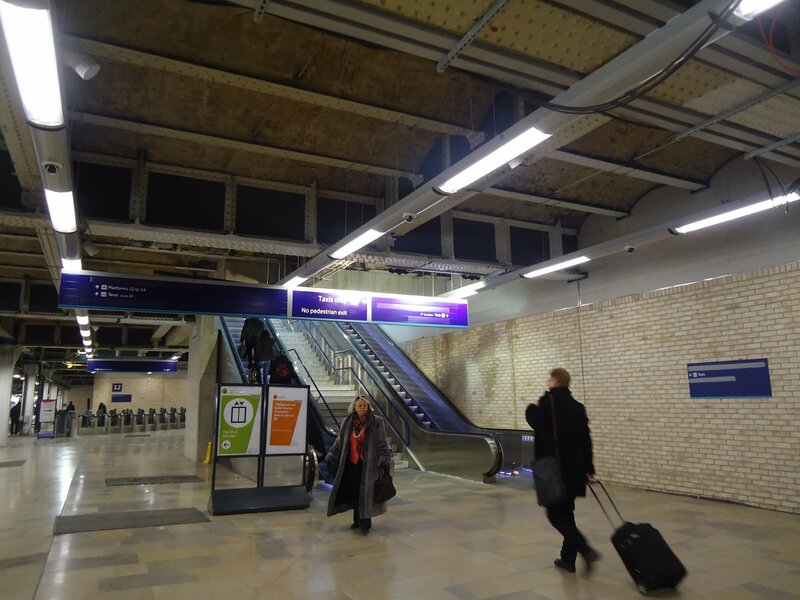 This new station will lay directly underneath Eastbourne Terrace to the South of the Station. 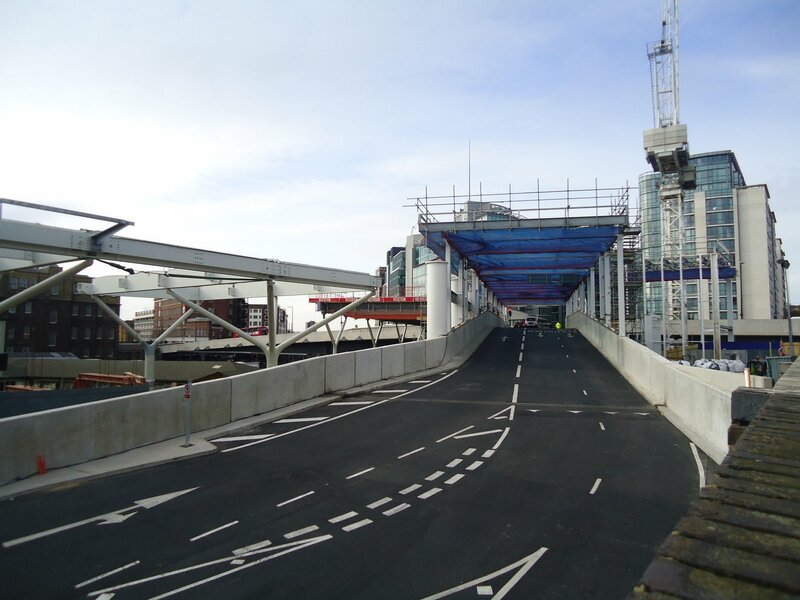 Eastbourne Terrace needs to be closed completely for two years to build this new station and this means also closing the taxi rank that historically has used Departures Road which is off Eastbourne Terrace. 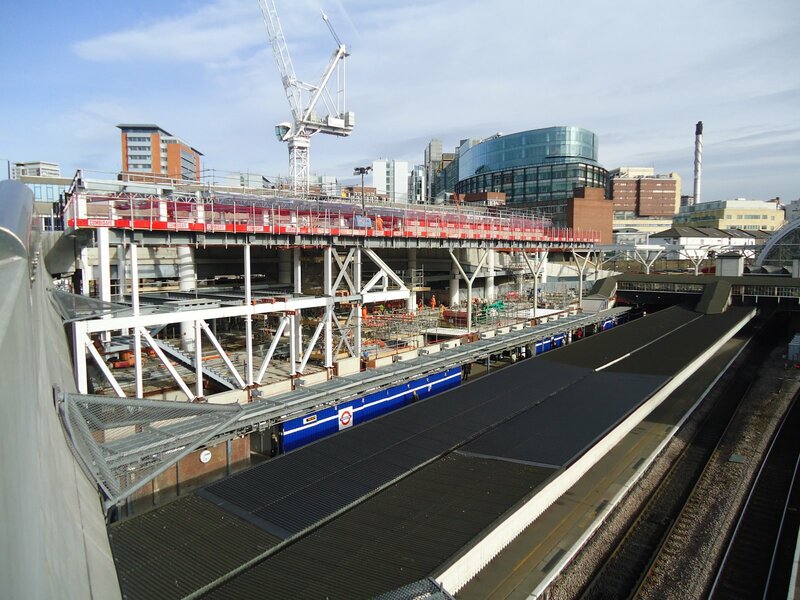 Works are currently ongoing on the north side of the station to construct a new taxi rank combined with a new London Underground station to serve the Circle and Metropolitan & City Line. The new taxi rank is on an area known as the Red Star Deck that runs alongside the recently renovated Span 4 of the main station and is accessed via a ramp that passes through the new LU station. 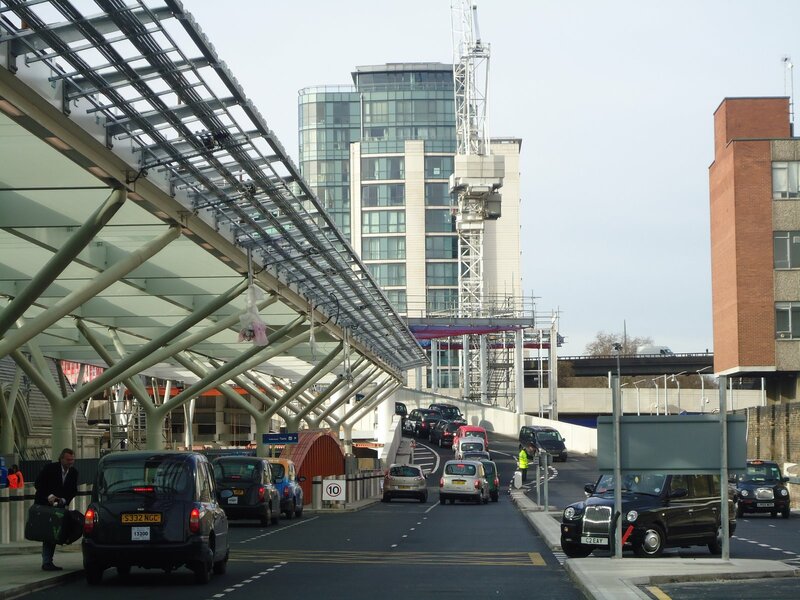 The ramp and its connection onto Bishops Road Bridge is now complete and the taxi rank is substantially complete along with the lifts and escalators down to platform level. As such the taxis recently started using the new taxi rank allowing the old rank and hence Eastbourne Terrace to be closed to allow the main station construction works to commence. There is still a substantial amount of work to complete on the new London underground station but its form is plain for all to see now and it is a mighty impressive structure. 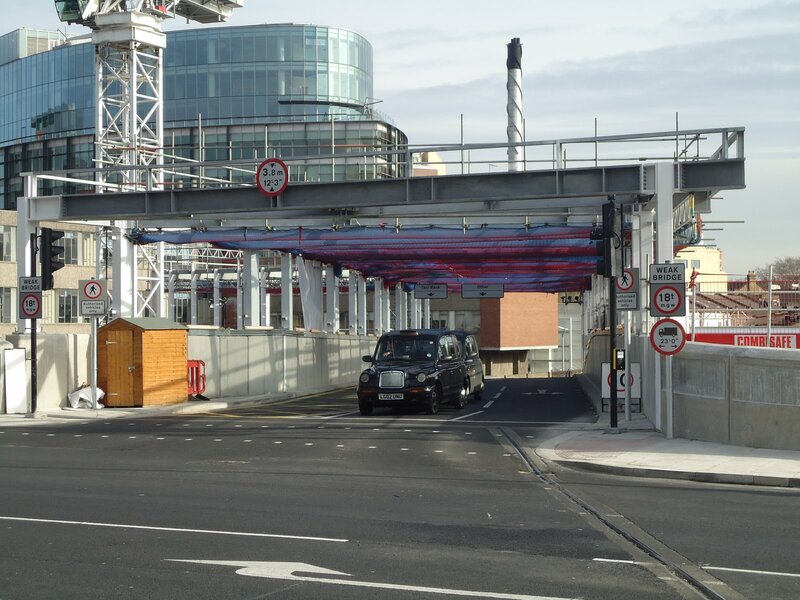 Top marks to all those involved with the design and construction of this very visible example of civil engineering achievement, and for achieving the milestone of opening the new taxi rank. A selection of the photos I took earlier are included below. More photos can be found on my Picasaweb photo sharing website by clicking here. All the photos were taken from public areas. Not a good example no. Can’t really comment on actions of an individual but disappointing if it was ungentlemanly conduct. Hopefully not representative of the company as a whole.